Alternativeto.net - ​Do you have an app, website, or computer program that you absolutely loved but is not longer supported? Or have you found a resource that was really cool, if only it were free? Do you wish there was some way you could easily find something similar? You need not wish anymore! Alternativeto.net allows you to search for any website, app, or computer program and Alternativeto provides a list of similar alternatives. Browser Extensions or Add-ons - Certain web browsers, such as Firefox, Safari, and Google Chrome allow you to add small third party programs, called extensions or add-ons, that increase the functionality of the browser. Below are some introductory tutorials. 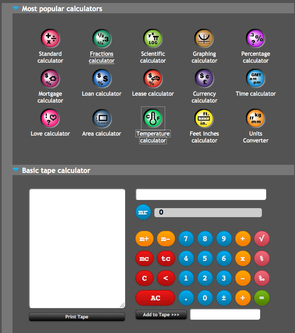 ​Calculators - Calculate anything anywhere! 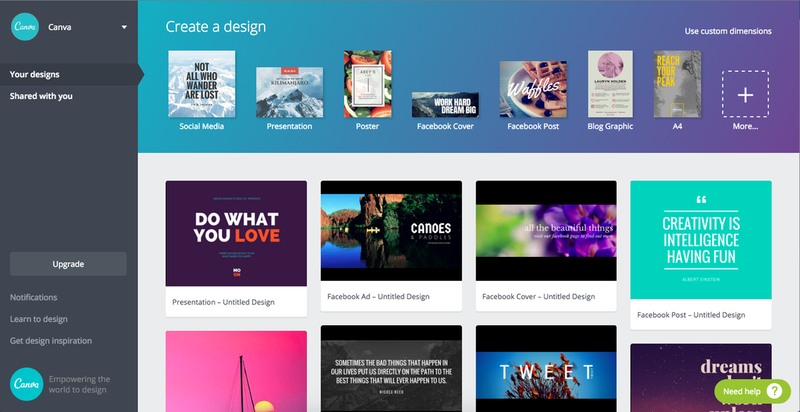 Canva - Canva is perfect for easily creating beautiful slides, flyers, posters, social media posts, book and album covers, presentations, resumes, photo collages, and so much more. Evernote - A note taking app that allows you to capture, organize, and share notes from anywhere. Your best ideas are always with you and always in sync. Google Apps - It is often jokingly said that Google is taking over the world. That statement may not be that far off. It sometimes seems Google has the answer to everything. Google offers a variety of amazing tools free to all users. You've probably heard about many of them. Below are a few of our favorite of the lesser known, but still awesome apps Google provides. Check them out! Google Hangouts - similar to Skype and Facetime, Google Hangouts is a communication platform developed by Google which includes messaging, video chat, SMS and VOIP features. Google Keep - Google Keep is a syncing notepad app for you to take notes. It's great for reminders, essay outlines, even grocery lists. You can even share and collaborate on your notes. Lucidpress - Lucid Press is an online print and digital designing program. 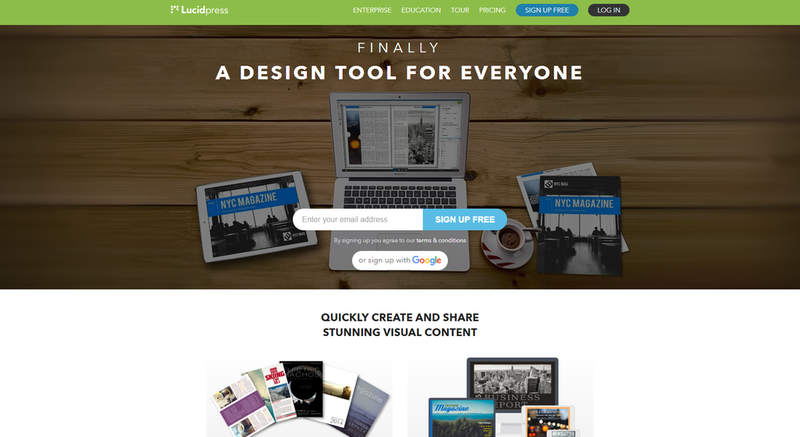 Use Lucid Press to create beautiful flyers, posters, newsletters, digital magazines, and more. The best part about Lucid Press is that it's as easy as drag-and-drop for whatever you want. It lets you easily import text and photos, embed YouTube videos, and it allows you share your creations almost anywhere all for free. WeTransfer - is the simplest way to send your files around the world. Share large files up to 2GB for free.